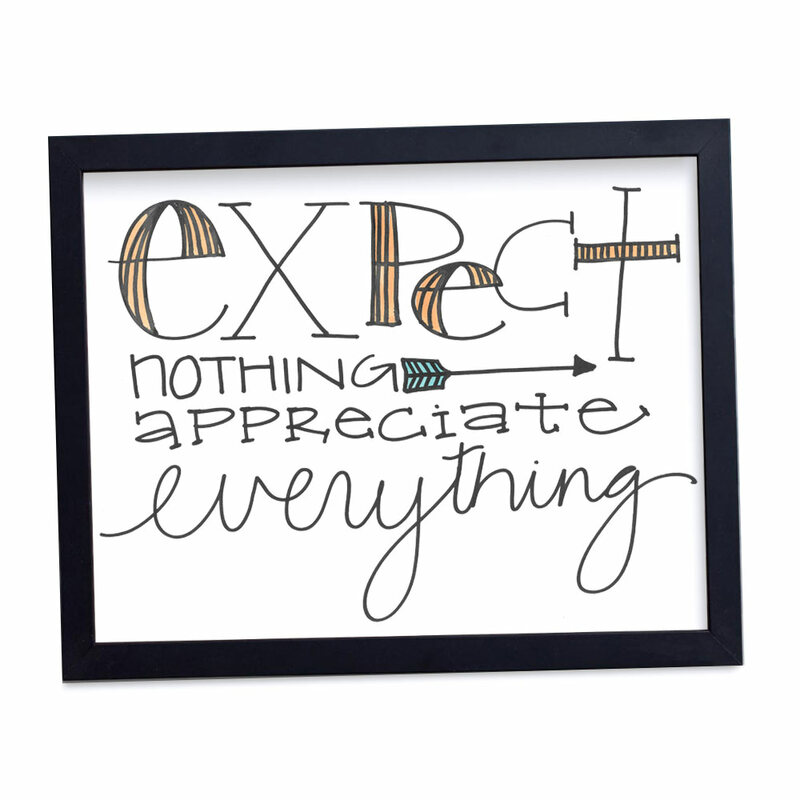 Growing Gratitude: Expect Nothing, Appreciate Everything! I want to give you a 50% chance to win 500. But the other 50% chance is that you must pay me $500! Will you take that gamble? How about this gamble: a 50% chance to win $1500 or a 50% chance to lose $1000. Are you willing to take that one? In the first example, the amounts of gain or loss are equal. However, there is within us an emotional response to the potential loss which is significantly larger than the response to the potential gain. The net result is that we decline the gamble. In the second gamble, the potential gain is greater than the potential loss. Statistically and economically you are crazy not to take this gamble. But most people again respond stronger to the potential negative loss than the potential greater gain. Why? Well, the negativity of losing something is far greater than the goodness of gaining something…even when the “something” that has been lost or gained is objectively equal. Insults hurled at us one time stick inside our skull, sometimes for decades. Depression ruins lives and people have to work extra hard to ward it off. Our failures usually speak louder in our hearts and minds than successes. Why are such negative things so powerful in our lives? The recent election season can help us understand. Think about the ads you see on TV for candidates. Think of an ad you remember. Now, was it a positive message about a candidate or a negative smear campaign about an opposing candidate? Most political campaign ads are negative. Campaign strategists know that smear campaigns of their opponent perform better for their candidate than positive campaign ads about their candidate. In order words, nasty ads makes a bigger impact in our heads than polite ads. We respond stronger to negative than positive. This is due to the brain’s negativity bias: Your brain is built with a greater sensitivity to unpleasant news. From the dawn of human history, our very survival depended on our skill at dodging danger. For example, early in human history, survival meant you have to find food, build a home, find a spouse, have children, and so on. All those are positive things. But you also have to avoid predators, prepare for storms and natural disasters, disease, poisonous plants and so on. All these are negative things that could happen to you. There is a big difference between the positive and the negative. If you don’t find a spouse or home today, then there is always tomorrow. But if you don’t avoid a predator or prepare for a natural disaster, then you will end up dead. So, over time the brain developed systems that would make it unavoidable for us not to notice danger and respond to it. This is because our response to the negative can be life or death. Not so with our response to the positive. This is where our fight or flight responses come from. They are automatic responses to potentially negative situations that are key to our survival. It’s a part of the genetic and cultural programming in our brains. We focus on the bad (the negative) because it keeps us alive (maybe not happy, but alive). We all too often focus on the bad because of how our brain is wired even when God and good is present! The Bible teaches us to learn to see and acknowledge the good and grace of God in our lives. Let me share two passages with you. One is Psalm 13 and the other is Phillipians 4. Psalms like this one are so good at giving thanks while still acknowledging the negative of our lives. And this is important. the ability to look first at what is good and working in our lives without minimizing or denying the hardships or challenges that are also present. That is exactly what the psalms do. Too often folks want to gloss over the negative and pretend there is only positive. We cannot ignore the negative. It is in our brains whether we acknowledge it or not. The psalms encourage us to express the negative. And we see this over and over again in the psalms of lament (over half of the psalms). But the laments always end a certain way: with trust, praise and thanks. Where are you God? Life is pretty rough right now. I need your help! But, God, I know you showed up in the past. Thank you! Praise you! I trust that you, God, will show up again. There were struggles in the Philippian community, particularly between Euodia and Syntyche. And what is Paul’s advice? Rejoice, be gentle, don’t worry, pray and give thanks. Everything in Paul’s list leads to giving thanks! That’s important, too. Paul encourages us to focus not on the negative, but to look for the positive in the situation. Find what can be celebrated and give thanks. Be gentle with one another by finding something about the other person (whom you may disagree with) to be thankful for. Don’t give in to worry. Give in to prayer by giving thanks for one another! This is powerful advice! And research backs Paul up. As I have said, there is disproportionate weight on the negative in our mind and emotions. So, balance does not mean a 50-50 equilibrium of positive to negative. One negative thing is not counteracted by one positive thought of thanksgiving. If I have a care accident today, writing one thank you card to someone who helped me after the accident will not be enough to counter the negative experience of the accident. How many positive acts of thanks do you think it would take? Researchers have discovered a 5 to 1 ratio. For example, they have looked at the amount of time couples spend fighting vs. interacting positively. Here’s what they found: As long as there was five times as much positive feeling and interaction between husband and wife as there was negative, the marriage was likely to be stable over time. In contrast, those couples who were heading for divorce were doing far too little on the positive side to compensate for the growing negativity between them. Other researchers have found the same results in other spheres of our life. And it is the frequency of small positive acts that matters most, not the quality or magnitude. In other words, one big celebratory night is just one positive event among the ratio needed. It doesn’t have the effect of 5 smaller simpler acts. It takes frequent small positive experiences to tip the scales toward happiness. So Paul is right…we need to think intentionally and regularly on things that are true, honorable, just, pure, pleasing, commendable, excellent…things that are worthy of praise. And doing so might help us get the ratio good enough that we become more aware of the goodness in our lives. Becoming aware of the good is the first step of growing gratitude in our lives. Remember, like the man on the island… the next time when your little hut is burning to the ground, it may be a signal that summons the grace of God.